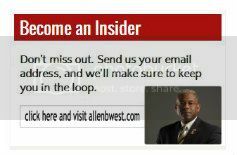 This entry was posted in Healthcare and tagged ACA, Allen West Republic, AllenWest, BarackObama, Bill Clinton, Col Allen West, Healthcare, Insurance, LTC Allen West, Monica Lewinsky, Obama, Obamacare, President, Smoke and Mirror, United States. Bookmark the permalink. Let no man believe that he no longer has a God given right to freedom and self governess. We are a free people and the inept idea of another ruling your home is despicable. A free man will stand his ground and will deject the notion that another has a right to take away your ability to defend that freedom from all tyranny. We as a free people will take upon our self the ability to remove all who in dark closed door rooms make serious pacts to subjugate our right as a free man and imprison them for ever. We will not obey, We will not surrender to any less than God all mighty. Ralph Gray Vietnam veteran in service 1969-1972 I Salute you Sir.